Airport pick-up and hotel transfer by our private guide and vehicle. Free day. Today morning, visit Tiananmen Square, the largest city square in the world; the royal palace-Forbidden City; the ancient Beijinghai Park nearby. Have Chinese lunch at Green Flower Porcelain Restaurant. In the afternoon, sightseeing in the magnificant Temple of Heaven and the shining Pearl Factory. Enjoy the fabulous Chinese Acrobatics Night Show; take Quanjude Roasted Duck for dinner. 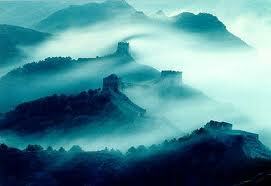 Visit the marvelous Badaling Great Wall, the royal Changling tomb of Ming Tombs and the Sacred Way. Take Chinese lunch at Jindian Restaurant. Make wishes at the glorious Lama Temple; take a Hutong tour with rickshaw, pay a visit to a local Hutong family and have their home cooking lunch. After lunch, take a pleasant stroll in the royal Garden-Summer Palace and then move on to the Silk Factory. Take today’s tour in the suburb area. Have a knowledge of Peking Man, living 200,000-700,000 years old at Peking Man Site; visit Macro Polo Bridge and the heaven-like scenery at the Stone Flower Cave. Lunch at a local restaurant. Morning tour in Chinese Century Altar and Chinese Military Museum. Have a Chinese lunch at Baguobuyi Restaurant. Move on to Beijing Zoo where to see the cute panda bears; pay an exterior visit to Bird’s Nest and Water Cube in the Olympic Green; visit the well-known Xiushui Market. Transfer you to Beijing airport. Wish you a good journey home!